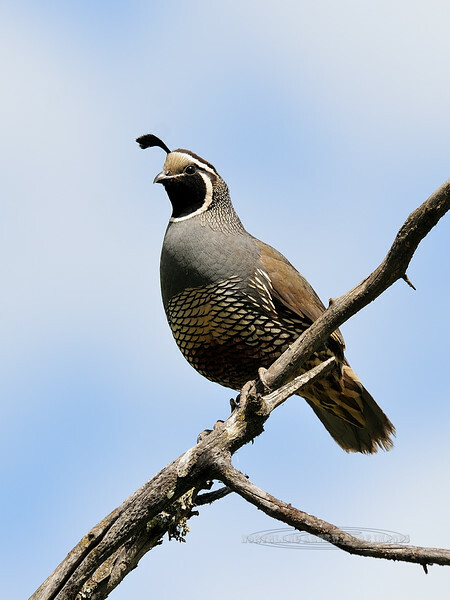 Quail, California. Calling on a mourning perch. Lightning Creek, Idaho. #619.077.